Large commercial trucks transport goods to and from points all across the country. In doing so, drivers of these massive vehicles spend much of their time on rural roads. Though one might assume that it's crowded urban areas where big rigs and 18-wheelers are at the greatest risk of being involved in an accident, research shows the exact opposite is true. Not only do most accidents involving large trucks occur in rural areas, but 61 percent of rural road truck crashes result in fatalities, according to the Federal Motor Carrier Safety Administration (FMCSA), which regulates interstate trucking in the United States. If you were injured in a truck accident that occurred in a rural area, you might be entitled to compensation. Filing a personal injury claim allows you to seek financial recovery for a wide range of damages, including medical expenses, lost wages, loss of earning potential, pain and suffering, and other losses. An attorney can help you determine who to name as a defendant in your lawsuit—potentially liable parties can include the truck driver, the fleet company they work for, or a manufacturer of a faulty truck part. 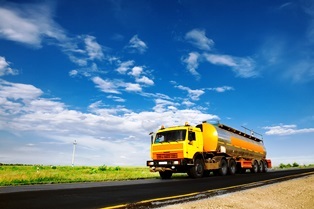 Are you considering seeking compensation for truck crash injuries? Do you have questions about your legal rights and options? Contact Van Sant Law today to schedule a free initial consultation with one of our experienced truck accident attorneys.